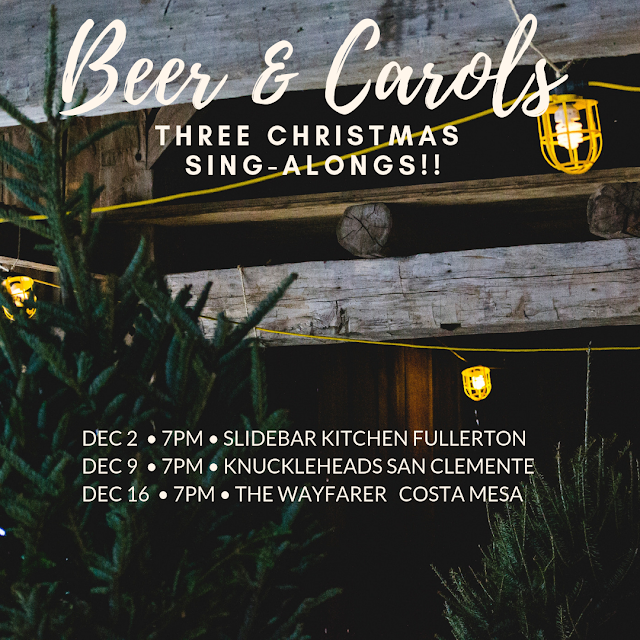 Beer & Carols Holiday Sing-Along: Three shows in December! Beer and Hymns Orange County is a casual gathering of people who like the idea of singing old-school hymns over a beer (or soda if you're sober.) It's an all-inclusive space for people from all walks of life. Maybe you grew up in the church singing these songs. Maybe you are over church. Maybe you currently attend. Maybe it just sounds fun. Bring a friend and join us. No preaching, no proselytizing . . . just a good old-fashioned sing-a-long.